See, the Jesus reference is for the fact that we’re almost to Xmas! Timely. And I swear to all things freaking holy these ‘re Da Bom Yo! 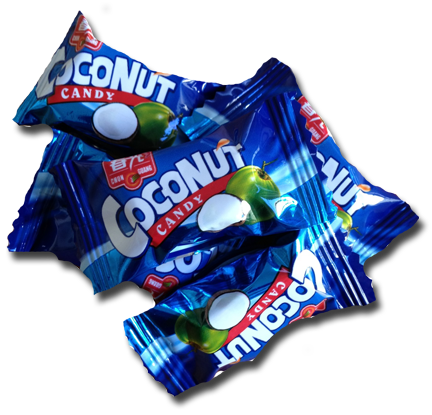 I know I know, in every review I write about coconut candy I say how coconut is for discerning adults since most kids don’t like the stuff. Well whoop de rah doo I’m writing it again: coconut rocks and is for us discerning adults because most kids don’t like the stuff. Side note: why do Asian countries do candy so well? oh, figured it out: they get flavors better than us ‘mericans. 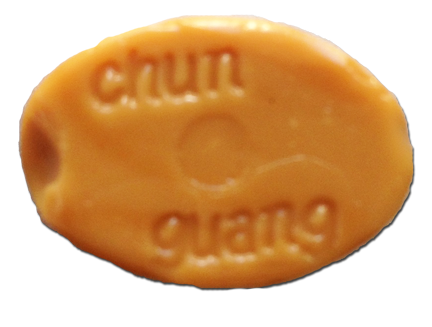 I got ChunGuang’s Coconute Candy and didn’t try them right away. Hm. Color me skeptical. And yet – dammit if he isn’t right. Perhaps the 1st time for him, not sure, but right when I tried them, I thought coconut candies were exactly that. They even look like Werther’s. The taste? Nothing like Werther’s. Ok maybe a little, the overtones are there but the coconut flavor is honest and real, way forefront if not deep, and these aren’t too sweet at all. They gave me a warm feeling in my mouth (that’s what she said! ), and really rich. A nicely confectioned, almost slightly toasted-tasting bit of smooooth coconut. I could eat a zillion of these things at one sitting. My only issue with them is their packaging. Blue colors with a kid-looking font. Since kids won’t eat these, why not make the packaging for adults? Don’t go all Mozart balls on us, but chic it up a bit, all Tcho-like. Hey ChunGuang marketing team? You’re welcome. Now if you want to buy these bad boys, go to Amazon! All you coconut lovers: they rock the party party. 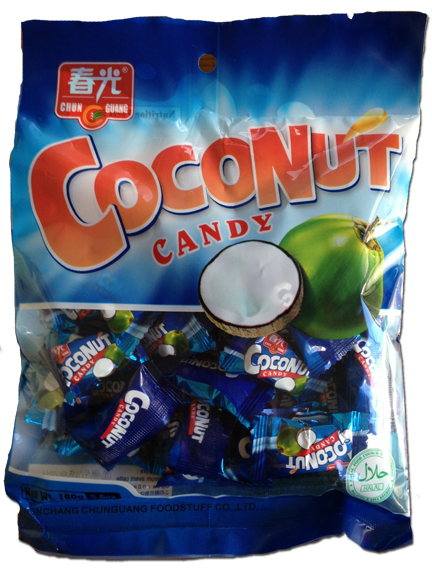 In trying to think if I’ve ever had a coconut hard candy aside from these- I don’t think I have. Novel. I better try them again. Honestly, I’m not sure if I’ve even seem them again. These are huge at my work. Rubbermaid in Akron, Ohio. I have a handful in my toolbox. TheRe are a lot of Asians of many different homage. I was curious about them since trying some that were given to me. They are amazing. It’s great to work with all sorts of different cultures. Especially for the candy!